Facebook has recently undergone major changes to its News Feed, pushing more content from friends and family and less from pages not deemed as “trusted sources”. This was done in response to fake news and donkey (poor quality) content that have been populating the News Feed in recent years. These “trusted sources” are to be designated by Facebook through rankings put up by “a diverse and representative” group of Facebook users. Pages that are not considered “trusted” by Facebook, even those users choose to follow, will most likely show up a lot less on their news feed. This whole thing with trusted sources may be a way for unicorn (high-quality) pages to float more to the top like the cream of the crop. Meanwhile, donkey pages that may not be as trustworthy or relevant with their content may get buried with the updated news feed. 1. On the Facebook homepage, click the drop-down arrow on the top right and select “News Feed Preferences”. 2. Select “Prioritize who to see first”. 3. 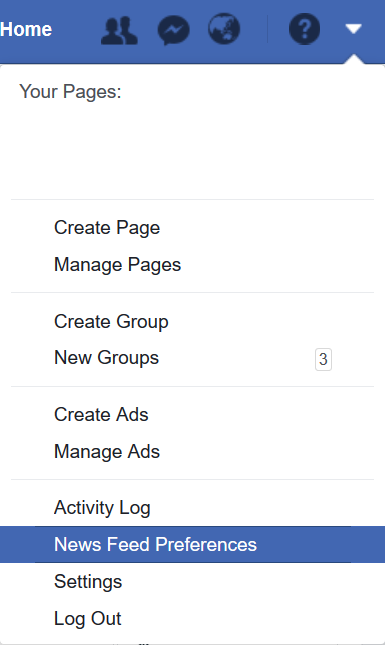 Choose “Pages only” in the view options. You can then select the pages you wish to see first in your news feed through here. If a particular page happens to be a unicorn for you, and you want to keep seeing its content on your News Feed, you should go directly to that page and click on the Following button to see a drop-down menu with options on how posts from that page may appear in your news feed. 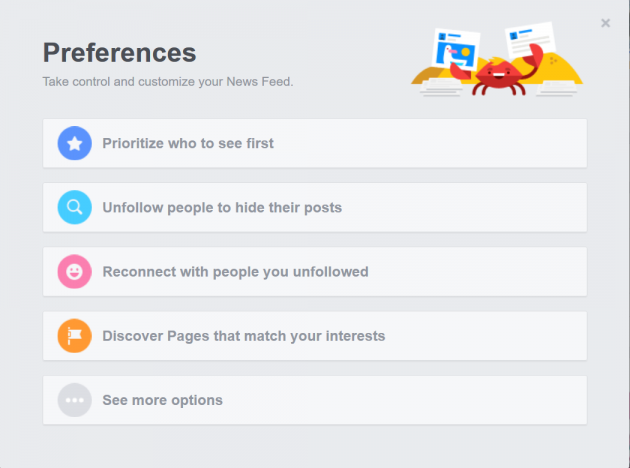 Selecting “See First” lets you receive posts from that page in your News Feed right when it’s posted so you won’t miss updates from that particular page. Sharing posts from that page with friends and family also tells Facebook you’re okay with the content from it, thus making sure you see more from that page more often. There have been plenty of changes in Facebook over the years, and users have always found ways to adapt to them. 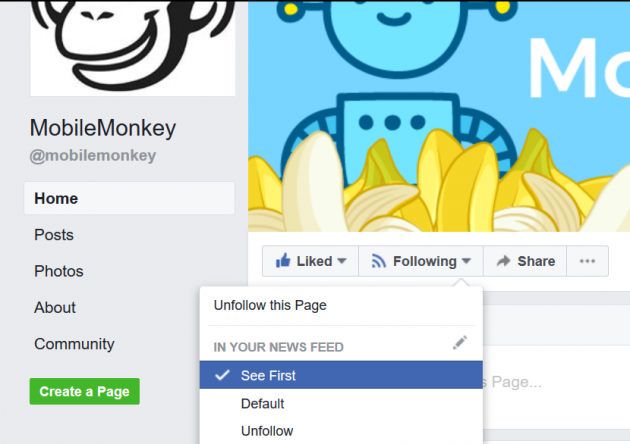 Use the steps above to take control of your News Feed and prioritize which posts to see first! 2. Sign up for occasional Facebook Messenger Marketing news & tips via Facebook Messenger.